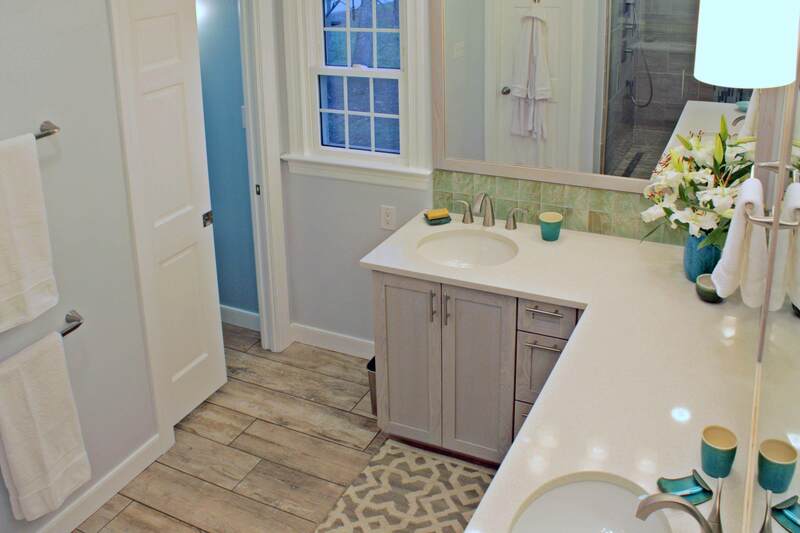 Located in a quiet neighborhood, this master bath like many originally had a a tiny stall shower and an unused, huge jetted tub. 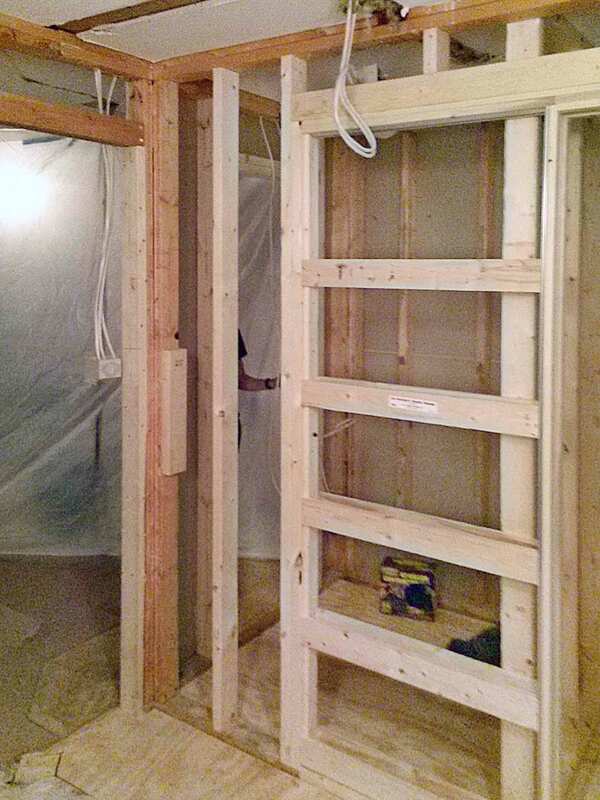 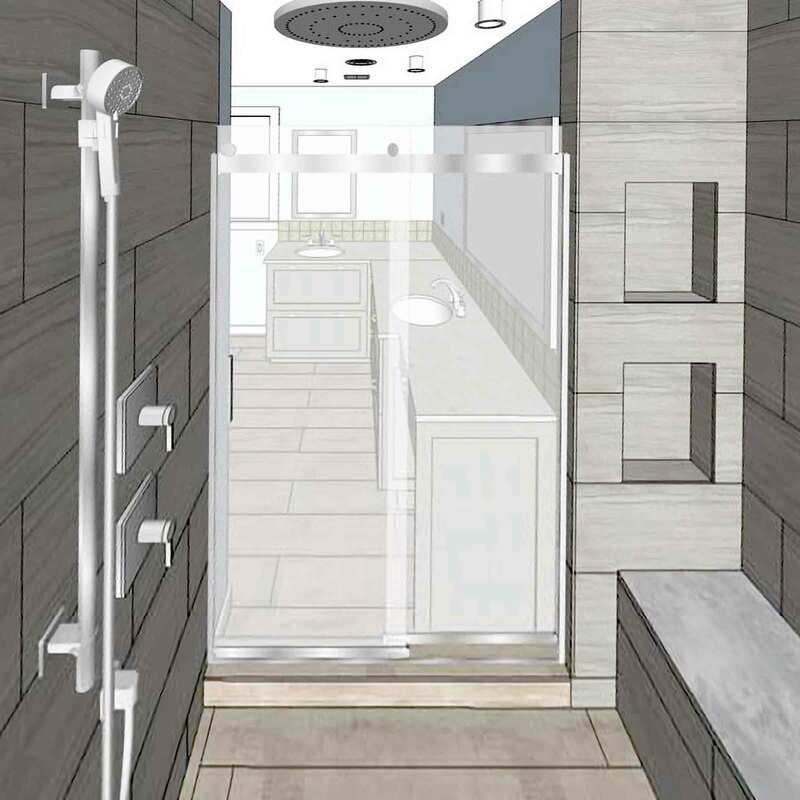 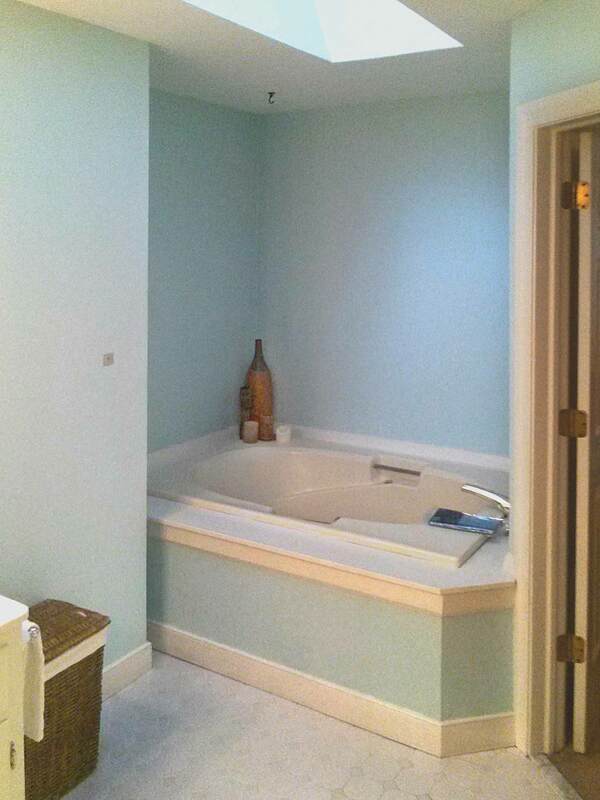 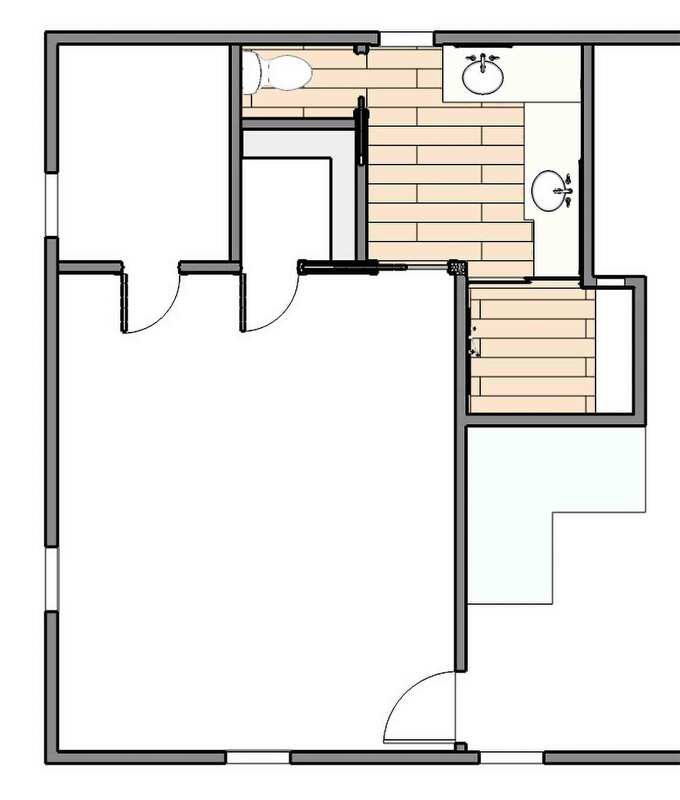 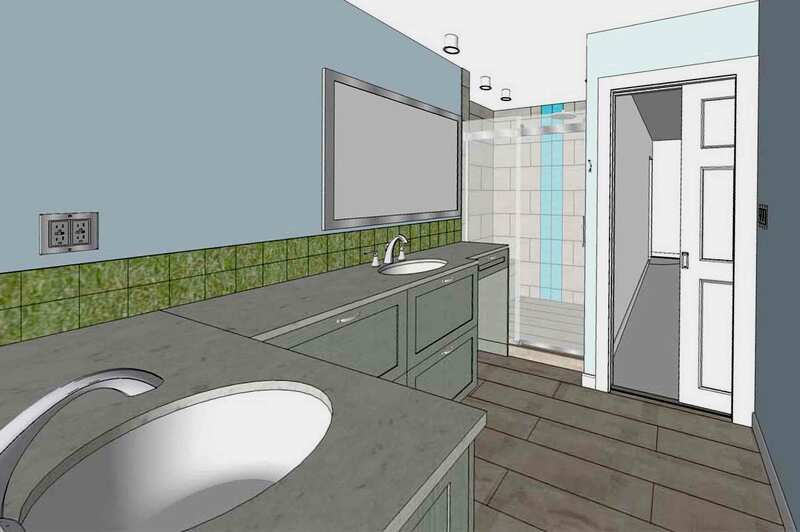 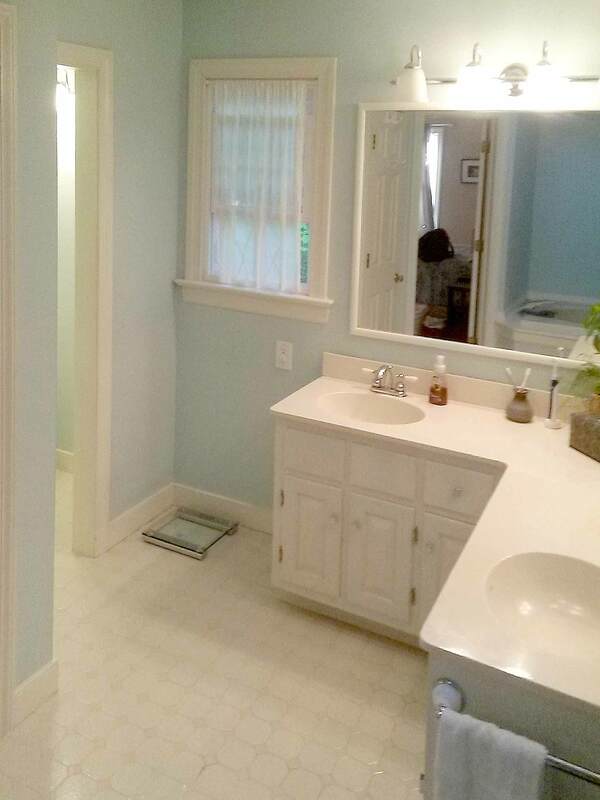 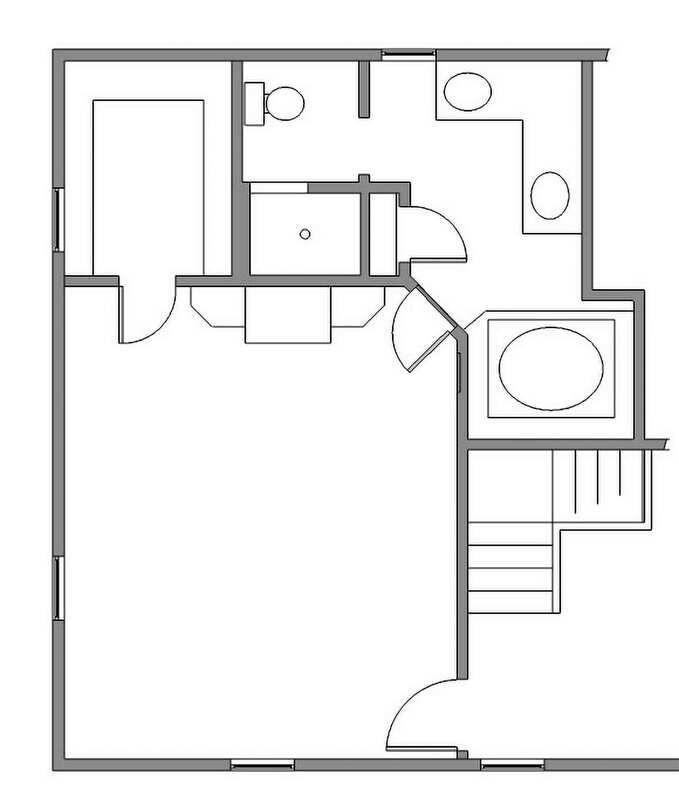 Important goals were omitting the tub in favor of a generous shower with a bench and installing a closet for him, along with the ability to close the toilet compartment. 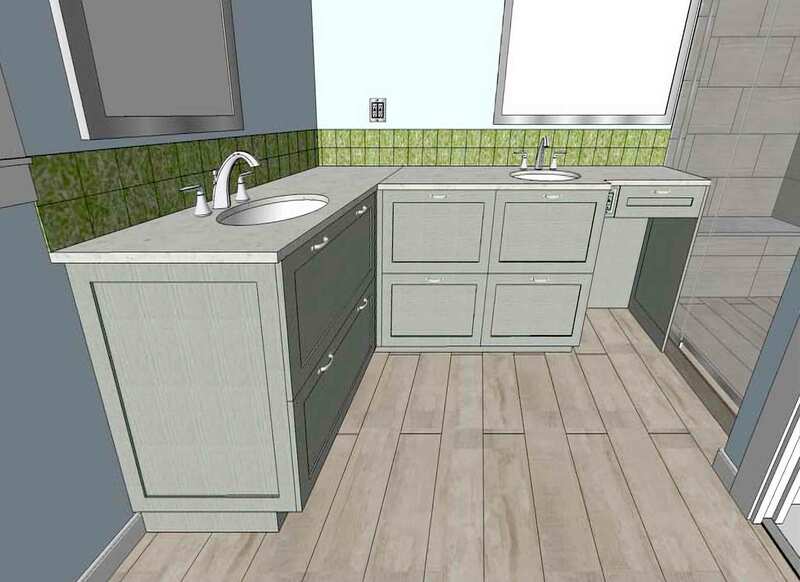 The existing double sink vanity was revised in favor of full-height base cabinets and a dedicated make-up station for her. 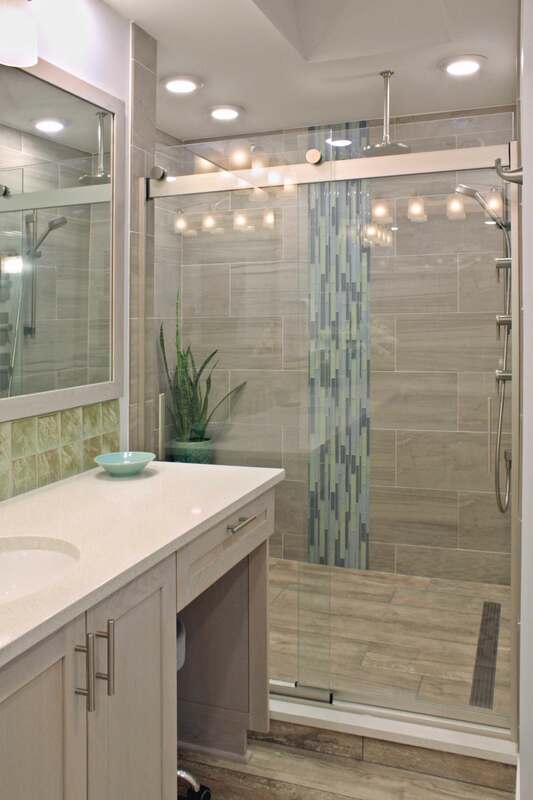 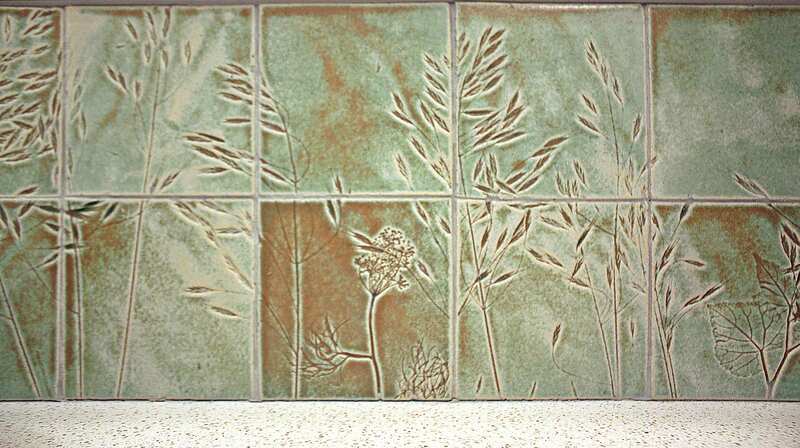 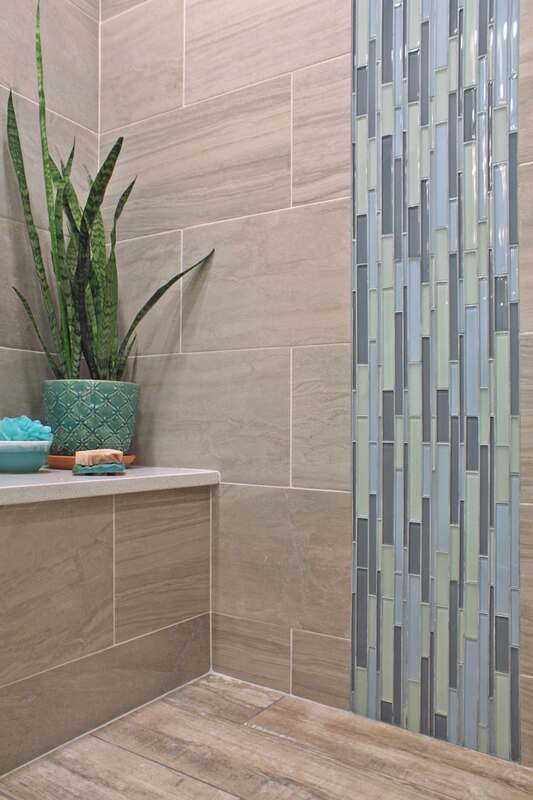 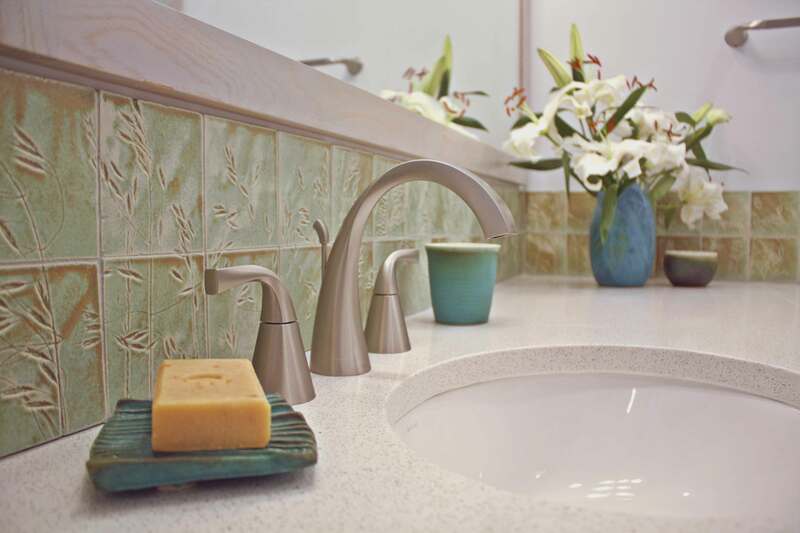 The finishes speak to natural elements, such as wood, stone, sand and water and a custom mosaic of a hand-made tile backsplash suggests grassy dunes. 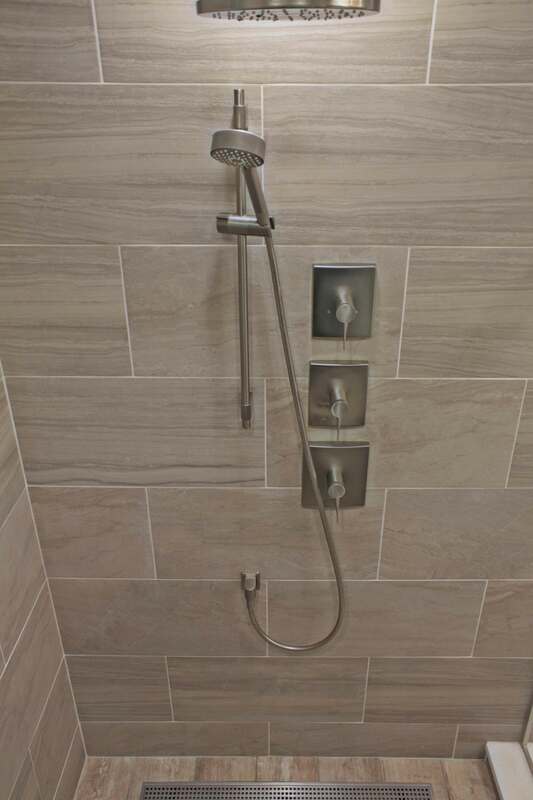 The waterfall shower head plus a hand-held sprayer work in tandem for a full shower experience with no loss in water pressure.